Over the past 4 years, the People’s Republic of China has built a number of fortress islands in the South China Sea, across one of the world’s busiest shipping lanes. The move has strategic implications for trading nations, in Europe and Asia. With more than 12% of its trade transiting the sea lane and a long sea-faring history, the United Kingdom is one of these concerned nations. 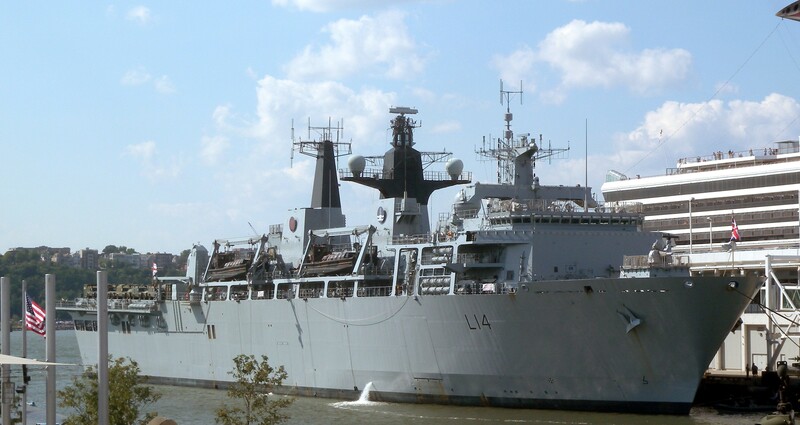 Over the space of a year, three warships, the HMS Sutherland, the HMS Albion, and the HMS Argyll have transited through the region, with the Albion actually carrying out a demonstrative transit. According to Beijing, the move “violated Chinese law”. This claim is difficult to square with China’s own relationship to international law in the wake of the 2016 finding by the Permanent Court of Arbitration in The Hague. So what is the situation behind the headlines? By kind invitation of Andrew Bowie MP, the Henry Jackson Society is proud to bring you four experts and practitioners on maritime security and international law, to clarify Britain’s role and responsibilities in the South China Sea and to look at how other powers are reacting to China’s moves. Admiral Scott Swift served in the U.S. Navy for more than 40 years, rising from his commission through the Aviation Reserve Officer Candidate program to become a Navy light attack and strike fighter pilot. He commanded at all levels including F/A-18 weapons school, aircraft carrier-based squadrons, Carrier Air Wing, Carrier Strike Group and the U.S. Seventh Fleet forward deployed to Japan, finally completing his uniformed career as the 35th Commander of U.S. Pacific Fleet in 2018. During his years of service, he participated in combat Operations Praying Mantis, Southern Watch, Enduring Freedom and Iraqi Freedom, and received a master’s degree from the Naval War College, Newport, Rhode Island. He is a graduate of San Diego State University and the U.S. Naval War College. 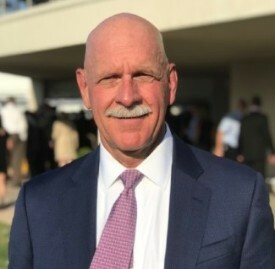 Selected as the MIT Center for International Studies Robert E. Wilhelm Fellow, Admiral Swift continues to explore opportunities to serve where his interests, abilities, experience and national need align. Admiral Yeong-Kang Chen is the former Deputy Minister of National Defence of Taiwan. 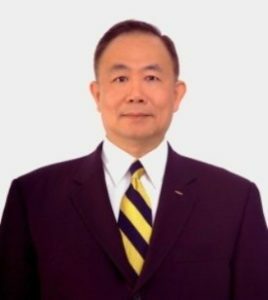 Admiral Chen graduated from Chinese Naval Academy in 1974 for service as a Surface Warfare Officer and completed studies in U.S. Naval War College in 1997. As Vice Minister for Policy, he served as the senior civilian adviser to the Minister. During his term of Chief of Navy, he had brought innovative and asymmetric ideas into different divisions, including Navy future force build-up, operations and training planning as well as international engagements. Admiral Chen also served as President of National Defence University. In addition, he also served as Red Team Leader in many large scale Command Post Exercises and Field Training Exercises. Professor Peter Dutton’s research focuses on Chinese views of sovereignty and international law and how those views are shaped by geostrategic and historical factors. 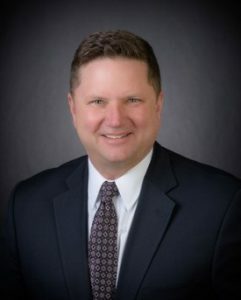 He advises senior officials and military leaders across the government and has testified before the Senate Foreign Relations Committee and the House Armed Services and Foreign Affairs Committees. Dutton is a retired Navy Judge Advocate and former Naval Flight Officer. He holds a JD from the College of William and Mary and is completing a PhD at King’s College London. His dissertation, submitted in August 2018, is entitled “Securing the Seas: China’s Request for Maritime Security through International Law of the Sea.” He is also an adjunct professor of law at NYU School of Law and a Research Fellow at the US-Asia Law Institute there. 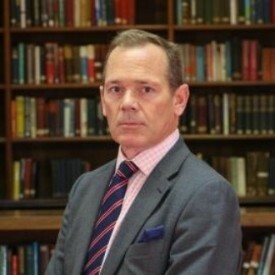 Professor Peter Roberts is Director of Military Sciences at the Royal United Services Institute, having been the Senior Research Fellow for Sea Power and C4ISR since 2014. He researches and publishes on a range of subjects from strategy and philosophy, contemporary war, military doctrine and thinking, command and control, naval warfare, ISR, professional military education and disruptive warfare techniques. He lectures, speaks and writes on these topics as well as regularly provides advice for both UK and foreign governments. Dr John Hemmings is Director of the Asia Studies Centre at the Henry Jackson Society and an Adjunct Fellow at the Centre for Strategic and International Studies. Prior to his doctoral studies, he was a visiting fellow at Pacific Forum CSIS and a research analyst at the Royal United Services Institute in Whitehall, working on Northeast Asia security and defence policies. He has written on foreign and security policy in Northeast Asia for nearly 10 years and had research positions at the Royal United Services Institute and the Asia Foundation. He contributes political analysis to various media, including the BBC, the Telegraph, Fox News, CNN, the Mainichi Shimbun, the Diplomat, and the National Interest; and is a regular on Monocle 24 Radio. 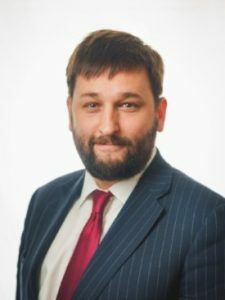 He has also published academic work in International Affairs, the RUSI Journal and International Politics Review, and was a Deputy Editor at the LSE’s flagship Millennium Journal of International Studies between 2013 and 2014. He completed his PhD at the LSE on US foreign policy in the Asia Pacific, namely in the area of alliance-construction. He has lived and travelled extensively in Asia, including long stints living in India and Japan. 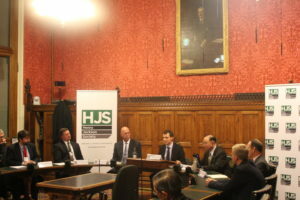 On Tuesday 16th October, the Henry Jackson Society hosted a panel of distinguished experts to discuss the geopolitical situation in the South China Sea. HJS was joined by Professor Swift who had a remarkable 40-year career in the U.S. Navy and is currently the MIT Center for International Studies Robert E. Wilhelm Fellow. Admiral Yeong-Kang Chen is the former Deputy Minister of National Defence of Taiwan and holds a distinguished political and military record. Professor Peter Dutton holds a PHD from King’s College London on the topic of China’s actions in the South China Sea and is an adjunct professor of law at NYU School of Law and a Research Fellow at the US-Asia Law Institute. Professor Peter Roberts is Director of Military Sciences at the Royal United Services Institute. Professor Dutton commenced by underlining the importance of enforcing and maintaining the rules based system which has hitherto been implemented in the South China Sea. A system which was under threat from China’s island construction and territorial claims. Professor Dutton elaborated this point by explaining how the rules based system benefited all regional countries, including China, on a security, political as well as an economic level. He asserted that Britain played a vital role in maintaining this security order. While some academics have pointed out that Britain’s diminished military capacity has decreased Britain’s regional influence, Professor Dutton highlighted the strategic influence which Britain carried, an influence by which countries like China were affected. Similarly, Admiral Chen addressed the pressing issue of a potential military conflict in the South China Sea. Building upon the previous point of the economic centrality of the Sea, he asserted that by changing the status quo through its programme of Island Building, China was invoking a military response. He went further to outline how this programme of Island Building was being employed specifically by China to control the Sea which China perceives not as international water, but as a sovereign piece of Chinese territory. Professor Roberts developed this notion of territorial control by explaining how China had constructed a triangle through the three largest reefs – Fiery Cross reef, Woody Island and Subi Reef – through which it could control an exponentially larger quantity of area. Such an act evidently raising the likelihood of conflict in the region. Admiral Swift asserted that competition with China was, in fact, not a major concern as long as it occurred within the rules-based system where both sides respected the internationally recognized system. The debate turned to how Britain could influence Chinese behavior post-Brexit and as to whether Brexit would leave Britain as a rule maker through its new found power or weakened through its loss of European allies. Professor Roberts highlighted an important point that as Britain needs China for a free trade deal, Britain’s ability to influence China’s strategic thinking would be limited. He gave the example of Norway who were cut out of China’s economy for awarding the Nobel Prize to a Chinese dissident. However, Admiral Swift struck a more optimistic tone and stated that it is the duty of certain states to enforce a rules-based system. Sometimes there may be costs to such an undertaking, but countries with the economic and military might must bear the brunt of this to ensure a reduction in conflict. On the topic of how to change China’s behavior, all the speakers agreed on the need to act in a multilateral fashion while employed economic, military and diplomatic means. Professor Roberts highlighted China inability to operate during times of uncertainty. He noted that China had been cautious around President Trump, owing to his perceived unpredictability, a fact which the West must employ to reinforce the rules-based system.